On August 14, 2018, the City of Los Angeles Mayor’s Office of Resilience –in collaboration with 100 Resilient Cities and Second Nature –convened a forum on campus resilience at the Los Angeles Emergency Operations Center with representatives from several regional academic institutions, nonprofit organizations, and public sector entities. 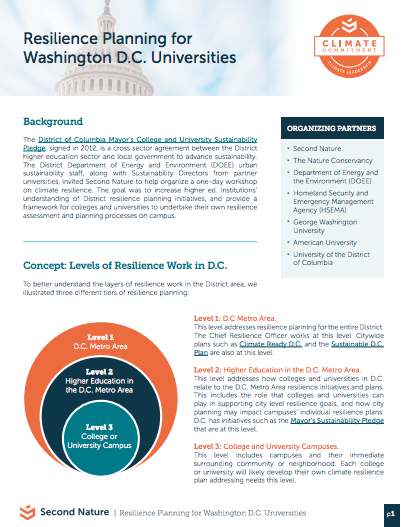 This report summarizes the forum’s findings in the context of a broader effort to build strong and connected communities and provides a roadmap for future collaboration in advancing campus resilience across the region. 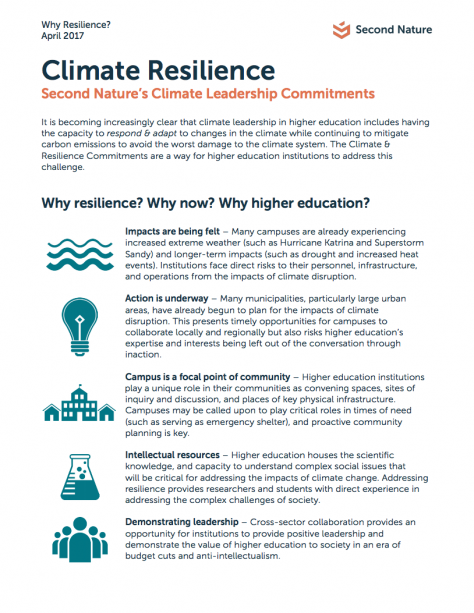 This short, downloadable handout explores why climate resilience is important, why the time to act is now, and why higher education is the ideal place to take action. Download. 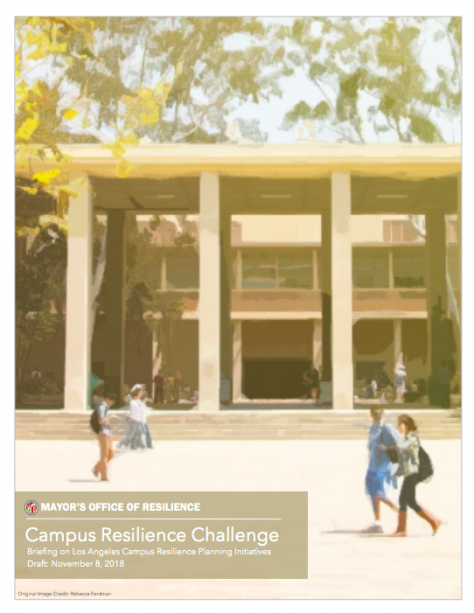 This short, downloadable handout explores the emerging topic of resilience. What is? How is it defined? What are its core concepts? 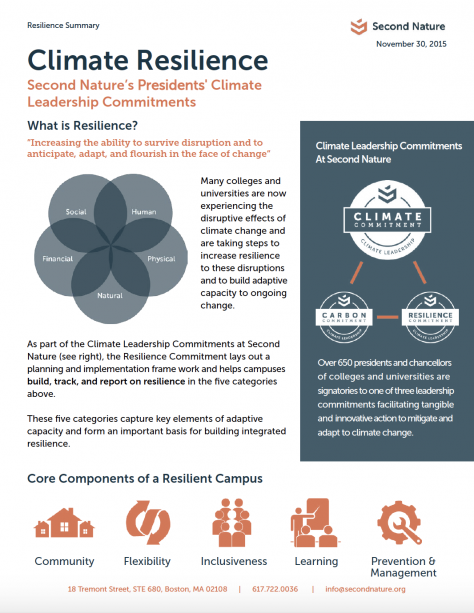 How do Second Nature and the Presidents’ Climate Leadership Commitments approach planning for it? Download.